Published on 10 April 2019 (but written exactly a year earlier). Symphony of the Seas – which, on its maiden voyage from Barcelona in March 2018 became the largest passenger ship ever built – is about five times the size of the Titanic. At 362 metres long, you could balance it on its stern and its bow would tower over all but two of Europe’s tallest skyscrapers. Owned and operated by Miami-based cruise line Royal Caribbean, it can carry nearly 9,000 people and contains more than 40 restaurants and bars; 23 pools, jacuzzis and water slides; two West End-sized theatres; an ice rink; a surf simulator; two climbing walls; a zip line; a fairground carousel; a mini-golf course; a ten-storey fun slide; laser tag; a spa; a gym; a casino; plus dozens more shopping and entertainment opportunities. Cruise ships mean two things to me. 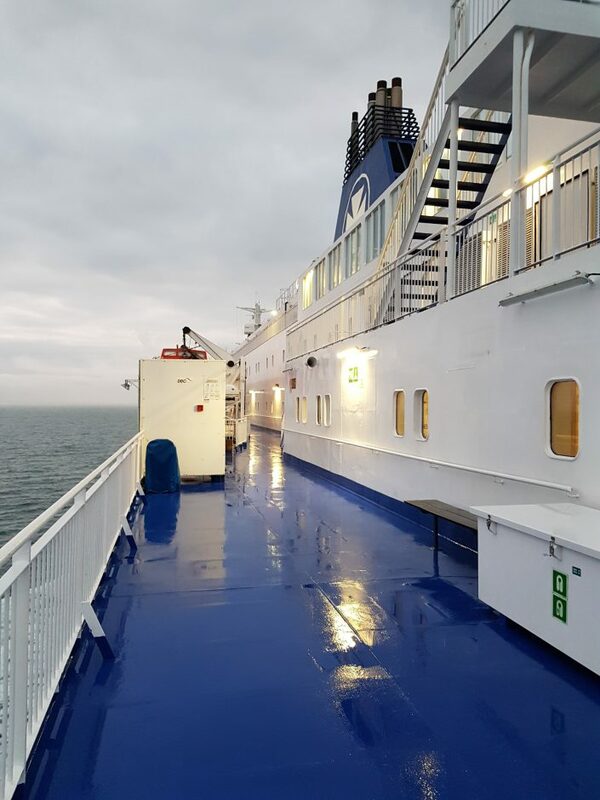 Earlier this year, I went on a ‘mini-cruise’ from Newcastle to Amsterdam aboard a DFDS ship. The journey was an overnight 15 hour or so thing, so certainly not equivalent in any way to spending weeks at sea on the world’s biggest cruise ship. The rationale for this was that I fancied a last-minute break and couldn’t find a cheap flight from Newcastle, so went on a cheap boat instead, spent a day in Amsterdam, and took a cheap flight from there. This worked remarkably well, and I’d do it again. This was the first time I’d been on an overnight boat since our annual family camping trips to France when I was a child. Prior to going, I’d sort of thought in the back of my mind that I might be the sort of person who might one day enjoy a proper cruise. This experience put me off. The ship was lovely, and I was particularly impressed by the cabin. I had expected a pokey bunk-bedded hovel but was actually rewarded with a fairly large space which looked not unlike a Travelodge room, with an en-suite bathroom. The food on board was also much higher quality than I would have expected. 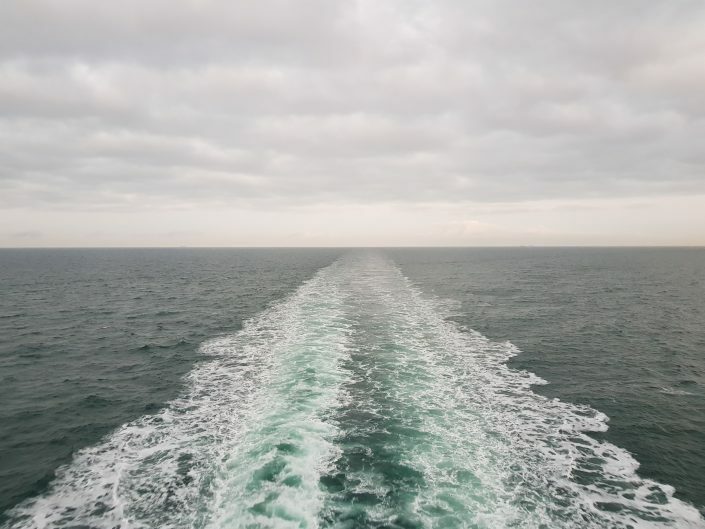 But I am somebody who likes to wander—and even with only 15 hours on the ship, I was itching to get off and explore. Exploring the ship felt a bit constrained. It was silly of me not to realise this in the first place. Wendy and I ruled out going to an idyllic holiday resort last summer for the sole reason that it was located on a main road along which walking was not advised, so we couldn’t ‘go for a wander’ without catching a bus or taxi somewhere first. I hadn’t really clocked that ‘going for a wander’ wasn’t really a go-er on a ship. While the Symphony of the Seas is ridiculously bigger than the ship I was on (it’s more than twice as long and can take four times as many passengers across twice as many decks), I still think I’d feel ‘cooped up’ pretty quickly. So I don’t think I’ll be going cruising anytime soon. Fascinating stuff… perhaps we could even try and replicate some of it on land! The pictures in this post are my own from the above-described ‘mini-cruise’ adventure. The pictures in the Wired article are a great advert for the power of print, looking far more arresting as double-page spreads than as on-screen images. This 2,431st post was filed under: Health, Posts delayed by 12 months, Travel, Amsterdam, Cruises, DFDS, Newcastle-upon-Tyne, Port Health, Public Health, Ships, Travel.